To me, visiting Melbourne Central is like invading a labyrinthine mall of endless entertainments. Navigate your way along the mazy trails, and you will discover little surprises and wonders embedded and littered at every corner and turn. The gargantuan mall spanning across two city blocks is a disoriented space jam-packed with international and local fashion brands, savoury and sweets, beauty and skincare salons, cinema and Karaoke bar, spa and gym, church and childcare centre, and even an underground train station! 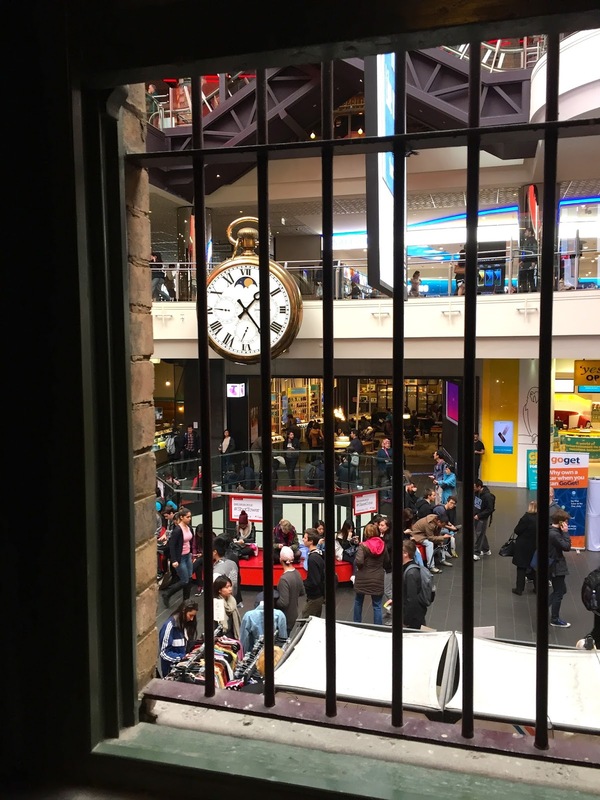 The risk of spending money on impulses while exploring the colossal 5-level retailers hub might be frowned upon by the shrewdest of all visitors. But fear not, there are always ways to have fun without the need to spend a penny. Before the arrival of this modern shopping precinct, a 9 storeys shot tower stood aloof in the middle of the town since 1888, producing tonnes of projectiles for shotguns on a daily basis. The demand for the lead shot eventually dwindled, and the manufacturing process ceased and came to an end. 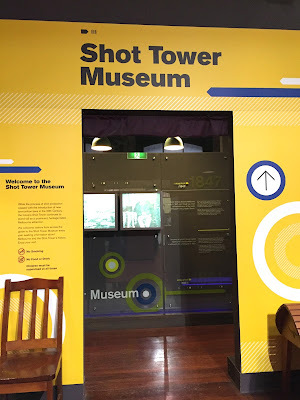 The Coop’s Shot Tower was heritage listed in the 1970s, rendering the acquisition and redevelopment of this central piece of land a real architectural challenge at that time. The innovative Japanese stepped in and constructed a 20-storey massive glass cone of contemporary design encasing the ancient tower, presenting the extraordinary marriage of the old and new under the flood of natural rays. The tower is now occupied by the R. M. William shop (an Australian home brand of handcrafted leather boots). A Shot Tower Museum is inconspicuously hidden within the shop. Entry is free, so just walk in and discover the history of Melbourne and this beautifully preserved shot tower, and be amazed by the wonders of them all! This giant Seiko watch hangs from a glittering gold chain might look just like any other ordinary clock in town, but at every hour on the dot, surprises revealed. A marionette display slowly drops down from the bottom of the clock. A few miniature galah and cockatoos bow rhythmically while two golden minstrels play the gentle, heart-warming Australian song of Waltzing Matilda. Two koalas hide at the back of the clock relishing the magical moment quietly out of the visibility of curious onlookers. 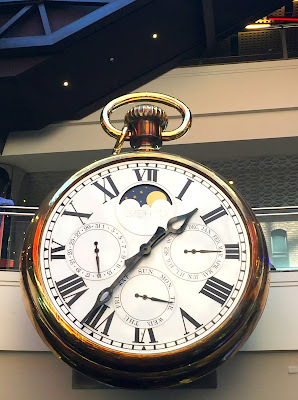 The classic gold clock is situated just right next to the Shot Tower Museum. This fantastic little gem is located right next to the Food Hall at level 2. A lovely community library for all, without exclusivity or any registry of memberships, I can never adequately describe to you how much I love this place. Take a break from your shopping spree, and enjoy a good book at this sanctuary of literary. Pick a book and bring it home, and return it at your leisure or bring an old book from home for an exchange. What a wonderful idea of a shared library in the middle of the town!